BRIGHTON, Mich. June 15, 2012 - By now most of you are probably aware that the upcoming 2013 Ford Focus ST is going to be fast - it is turbocharged after all - but Ford recently revealed a feature that takes the compact power even further. It's called "Overboost" and with the push of a button it will give speed-hungry Focus ST drivers a little extra kick. 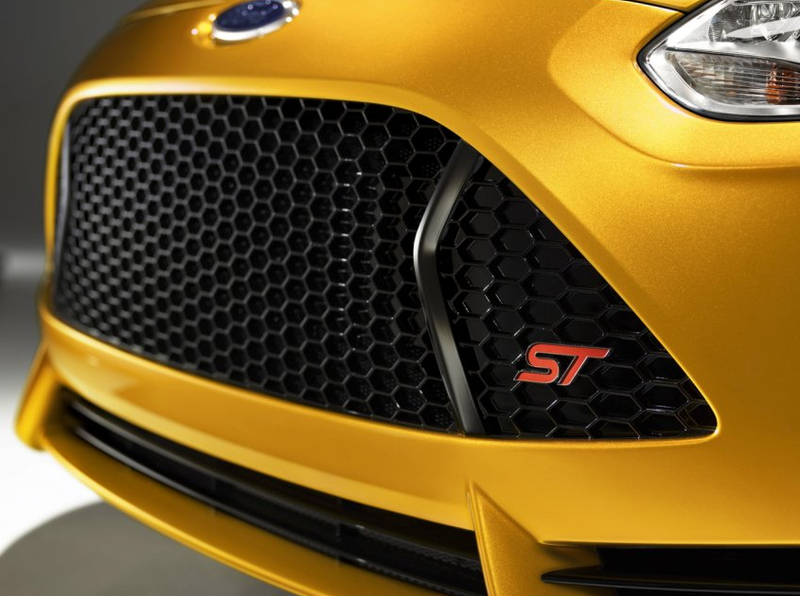 The new Ford Focus ST sports a four-cylinder, direct-injected turbocharged engine and with the “overboost” feature drivers can extend the car's peak torque for up to 15 seconds at a time. The gains extend the peak torque from 3,000 rpm to 4,500 rpm. 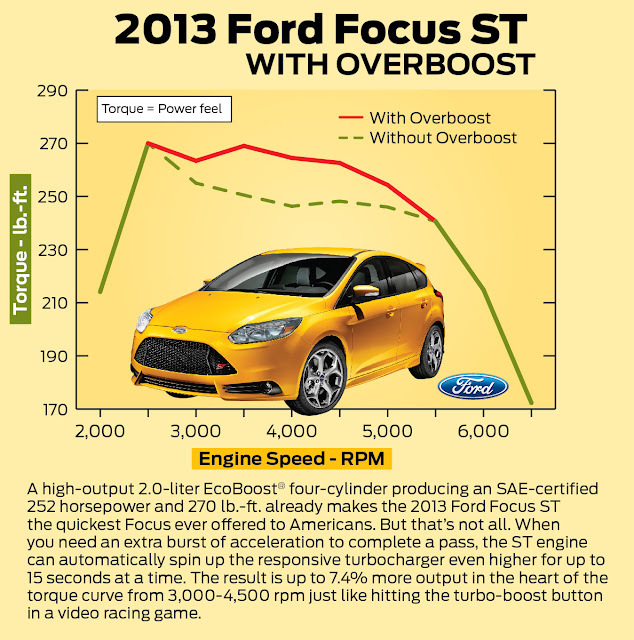 Other Ford EcoBoost vehicle would hit peak torque and start to drop off at these high speeds, but not the Focus ST! To allow this sort of afterburner effect, Ford had to go out of their way to ensure the overclocked 2.0-liter EcoBoost had a very strong cooling system. “The turbo itself is specified for sustained, high-output performance, but they’ve programmed the car’s computer to dial in more boost past 3,000 rpm to give it that extra something,” says engineer Lisa Schoder, who is Marketing manager for Focus ST. 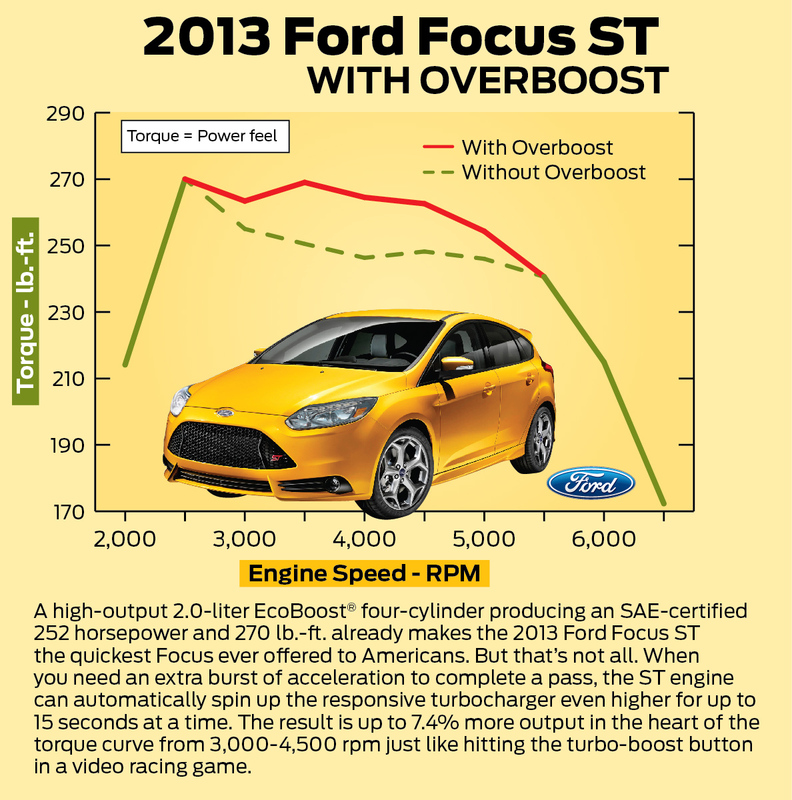 Here's a nice infographic Ford released that gives us a better look at how the new Overboost feature will work. As you can see the peak torque drops off much slower with the Overboost engaged, providing up to 7.4% more output from 3,000 rpm ro 4,500 rpm.